Note: All sizes have same content with different text size / format. 056d) Pocket size Semi-hardcover with fine paper (0.4" thickness). This book is an abridgment of my earlier work entitled, Adh-Dhikr wad-Du'a wal-'llajbir-Ruqyah mina'-Kitab was-Sunnah. In order to make it small and easily portable, I have chosen only the section on words of remembrance for this abridgment. To achieve this, I only mentioned the text of the words of remembrance instead of the entire Hadith. I also limited myself to mentioning only one or two references from the original book for each Hadith. Whoever would like to know about the Companion who related a particular Hadith, or more information about where it is recorded, should refer to the original work (mentioned above). I ask Allah the Glorious, the Mighty, by His beautiful Names and by His sublime attributes to accept this as having been done sincerely for His sake alone. I ask Him to bring me its benefits during my lifetime and after my death. May those who read it, those who print it, or have had any role in distributing it, benefit from it also. Surely He, glory be unto Him, is Capable of all things. May the peace and blessings of Allah be upon our Prophet, Muhammad, and upon his family and Companions and whoever follows them in piety until the Day of Judgment. Bushra R. on 02/23/2019 This is a great book to carry around for daily reminders and duas. A must-have in every household. Hilal E. on 08/23/2018 Excellent purchase! And excellent service. Candace C. on 05/02/2018 I enjoyed the book, but it was too small for me to read, so I decided to purchase the larger version. Much easier on the eyes for me. Mahmuda H. on 02/17/2018 May Almighty bless your business and help you to high standard. Susan M. on 02/07/2018 How can I rate anything less than a 10. Duas are not comparable to anything. Allah’s mercy is what we need this book is excellent to use all the time. I’ve bought several over he years. Great for new shahadas too. FYSAL E. on 12/29/2017 GREAT BOOK AND GREAT PRICE . FYSAL E. on 12/03/2017 ALL IS GOOD THANK YOU VERY MUCH. FYSAL E. on 10/09/2017 great price and a great book.thank you you did a great job. Taha A. on 07/19/2017 Best book for common dua's! Authentic hadiths as well! 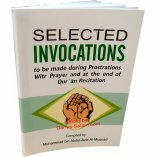 Martin B. on 05/22/2017 Excellent selection of essential duas with translation and transliteration. Convenient size. 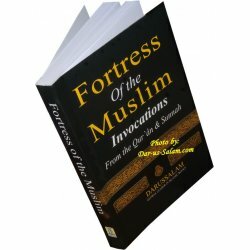 Excellent for people starting to learn duas. loty F. on 03/19/2017 Excellent. Ibrahim N. on 03/08/2017 Great selection of Du'a. It's hard for me to keep a copy on hand. I end up giving someone a copy. Should probably start ordering this book in bulk. Rhonda S. on 01/20/2017 Helpful through my daily life! Allah knows best! 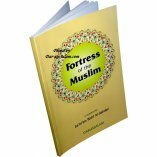 Amena K. on 11/04/2016 Alhamdulillah I ordered a large number of the "Fortress of the Muslim" pocket book. There was a mistake in my order and the wrong books were shipped to me, but I contacted Dar-us-Salam and they corrected the error within 24 hours. The staff was kind and helpful MashaAllah and when I got the correct books they were in pristine condition and ready for use. May Allah bless all of the people who are part of the organization for their efforts and their hard work. I will certainly be ordering from them again inshaAllah. Customer R. on 01/13/2008 This is a phenomenal little guide, extraordinarily helpful and comprehensive. Customer R. on 02/10/2008 Assalamu alaikum - Alhamdulilah we are able to have a book like this one available to us. I am a new Muslimah and I highly recommended this book to all Muslims around the world. It is extremely helpful- my sisters and I use it constantly. They even have it in Spanish! Masha Allah. Customer R. on 06/09/2012 Assalamo alaikom. 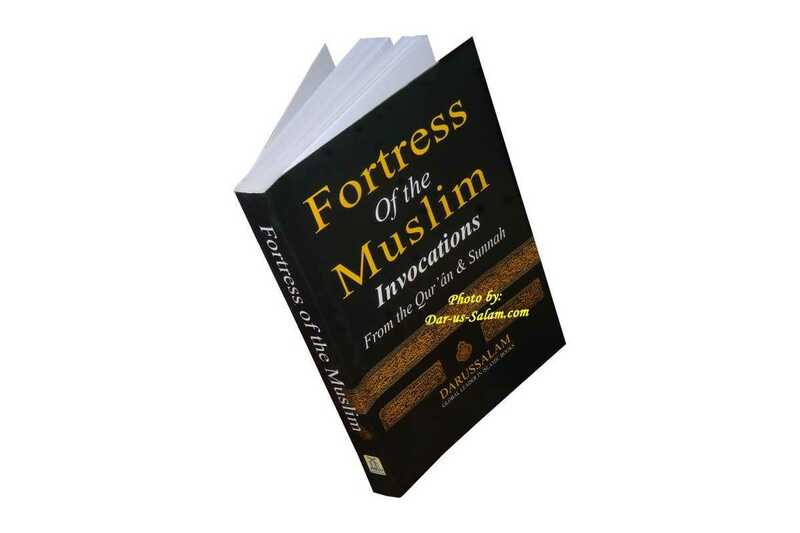 This is a very useful book of invocations/supplications especially for new Muslims. I think every Muslim should have one. Customer R. on 06/09/2012 Lovely for English speaking Muslims. Makes a nice Eid gift for a few friends. Customer R. on 03/03/2013 I received this as a gift alhamdulilah as a new Muslim. I think this is a MUST HAVE for all Muslims. I carry it with me in my purse and read it all the time. JazakAllah khair Dar-us-Salam for making it affordable! Customer R. on 01/23/2009 This book may look very small, but it probably is among the most authentic books of supplications. It has the Arabic, Roman transliteration and English translation text for every supplication. May Allah bless Darussalam publishers for their efforts. Ameen. Customer R. on 02/01/2011 This book is really, better than the entire world and everything in it! Because of this you have a great chance to do some easy good deeds from Sunnah and Quran. I'm a new Muslim and don't read Arabic so I memorized surahs, duas, and ayat all in Arabic. MUST HAVE for every Muslim. It's cheap and portable so I carry it around reading on the train and in times of need. At first glance the book had everything I could want and more, except the dua of Yunus in the whale [La illaha illha anta subhankika inne kuntum minat dhalameen] but further reading showed me it was inside! After that I came to the conclusion that this is perfect, currently I'm wondering if I should get a hardcover version for my personal library. Also makes a great gift has English/Arabic/English transliteration. 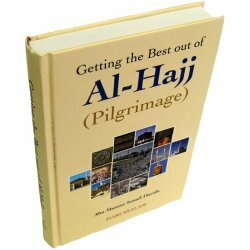 Customer R. on 03/26/2011 A kitab every Muslim should have! 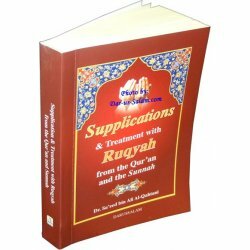 A supplication book for all ages that includes everything from waking up in the morning to supplications in times of worry and grief. Highly recommend. Essential for every Muslim! 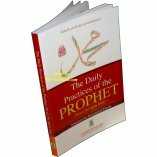 Customer R. on 06/02/2011 Every Muslim should have a copy of this book, unless they have committed all of these du as to memory [masha Allah]. I am a revert to Islam, and my husband gave this book to me shortly after our nikkah. May Allah reward him. I don't know what I would do without this book. 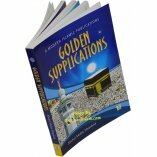 It has every authentic duafrom Quran and Sunnah for every situation. I have never needed a dua and not found it in here, masha Allah. 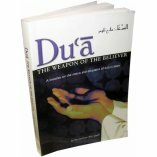 Customer R. on 06/02/2011 It has been the most useful dua boom ever! It comes in handy during difficult and confusing time. It is also authentic & very cheap! It's worth it. 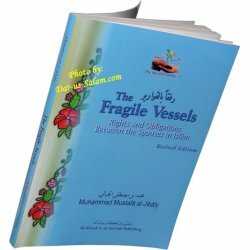 Customer R. on 02/01/2015 As-salamu Alaikum Wa Rahmatullah, Alhamdulillah, to my knowledge, this book is authentic [Allah knows best] and really helpful. I always carry it everywhere as it has all the duas I can think of and use it generously, alhamdulillah. I usually order it in bulk and love giving it as gifts to my family and friends. 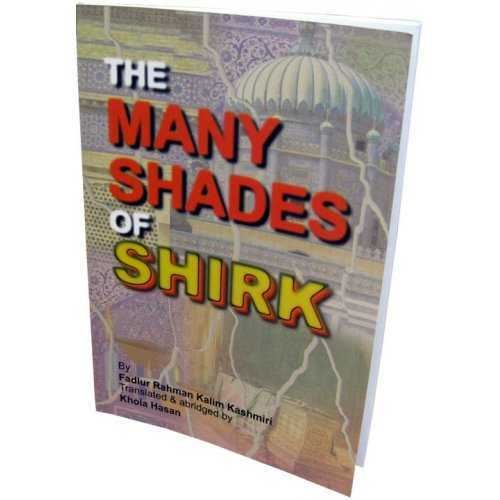 Jazak Allahu Khair to the publisher and the distributors to make it available to us. Customer R. on 02/22/2010 This is an excellent book to remember Allah, I do not read Arabic but because of the roman transliteration I memorized the Dua's in Arabic and found myself learning and memorizing alot of Duas in Arabic. It helped my family and friends in tough situations every Muslim should have this book. It is also good for a Muslim who cannot read Arabic. 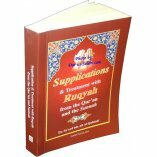 Customer R. on 11/24/2011 An absolute must have for any Muslim! This book has every dua you might need in your daily life and it is always my go-to book because of its authenticity with regards to including dua a from the Quran and Sunnah. It usually travels with me in my purse and I find myself referring to it often when out with my husband or with others. I'm sure other people can say the same! Customer R. on 06/14/2010 I love this book fortress of the Muslims. It is not very detailed as mentioned by the scholar but very convenient to keep handy for memorization. English translation is provided for those who do not understand Arabic. Those who are interested to follow the sunnah of Prophet should contemplate on the meaning of the supplication. This book is nice collection of dua's May Allah reward the author for his efforts in this world and in Akhirat.